Below is information to keep in mind when teaching the content in this unit. 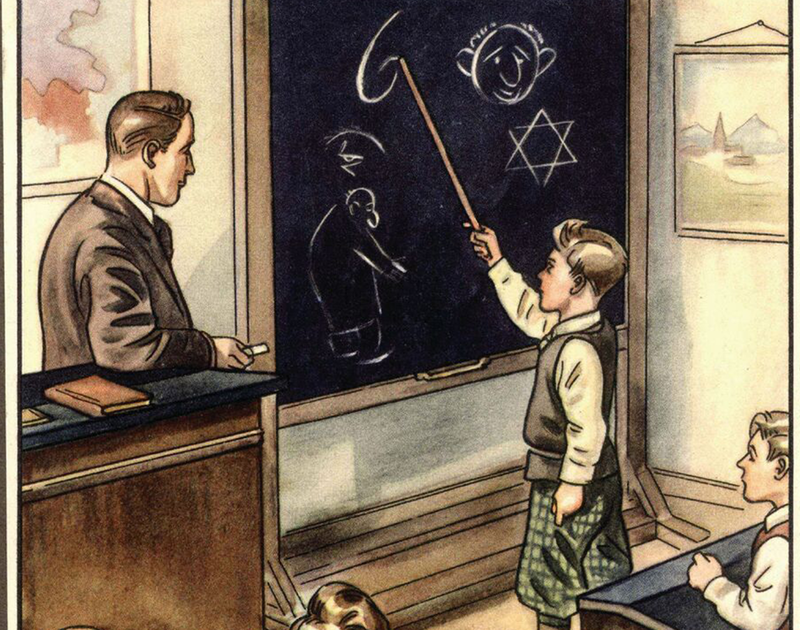 This material is intended to help teachers consider the complexities of teaching about antisemitism, Nazi racial ideology, and propaganda and to deliver accurate and sensitive instruction. Antisemitism did not begin when Adolf Hitler came to power in January 1933. 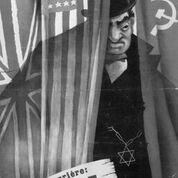 Antisemitism had long been entrenched in Germany and other European countries, and Jews for many centuries had been victims of widespread hatred and suspicion. 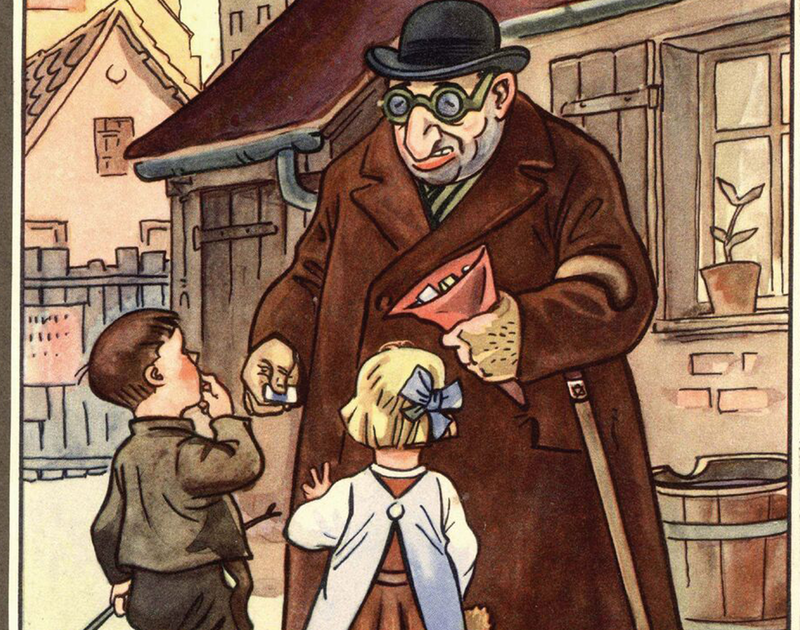 By studying the roots of antisemitism, and its different forms, students will better understand the historical context about the rise of racial antisemitic ideology in Nazi Germany. This unit has been designed to help teachers translate abstract ideas (e.g., antisemitism, propaganda, stereotypes, scapegoating) into active learning experiences, thereby creating a framework for processing and organizing information that otherwise might be difficult for students to understand. For some students it will be difficult to comprehend circumstances that are outside their immediate environment or experiences for which they have little or no previous background. There is also the possibility that students will be introduced to the concept of hatred against the cultural group to which they belong. Propaganda is an effective tool that has been used by both tyrants and democracies. Throughout this lesson, reinforce the idea that propaganda is manipulative and no one is immune to it. When discussing stereotypes with students, there is always the risk of introducing them to generalizations that they did not know before. Special care should be taken when debriefing this lesson to reinforce the idea that while stereotypes and myths are easy to believe that does not make them true. It is also important to create an environment where students feel comfortable asking questions about the origins of specific stereotypes and why certain stereotypes continue to be believed. When discussing these issues with students, be cautious of the effect this discussion might have on them. Some students may be uncomfortable with some of the subject matter associated with antisemitism and should be given opportunities to discuss their thoughts and feelings about the topic. Within the context of that conversation, it is important to stress that while antisemitism was a fundamental part of Christianity for centuries, it was also a product of world events and history. 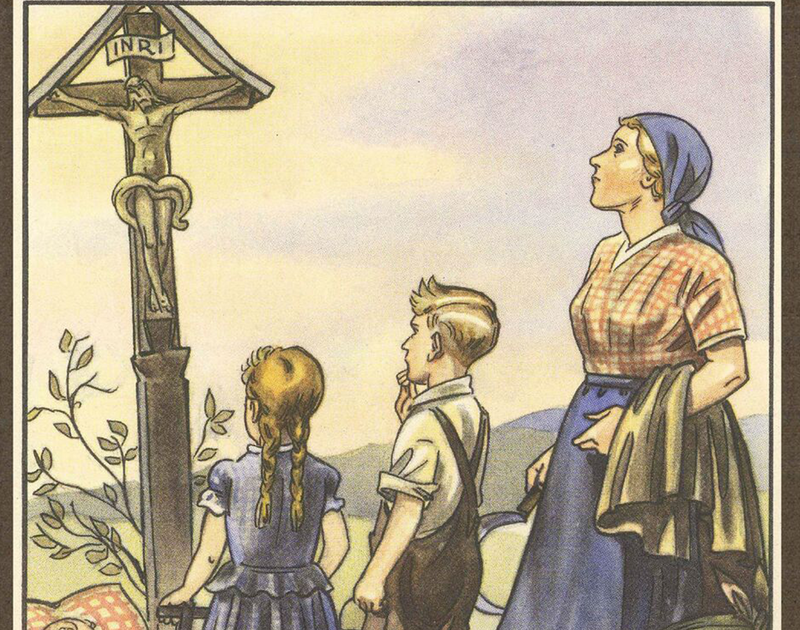 It is important, whenever possible, to accentuate the humanitarian aspect of Christianity as evidenced in many of the individuals identified as “Righteous Among the Nations.” Information about the “Righteous Among the Nations” can be found in the Rescuers and Non-Jewish Resistance unit. 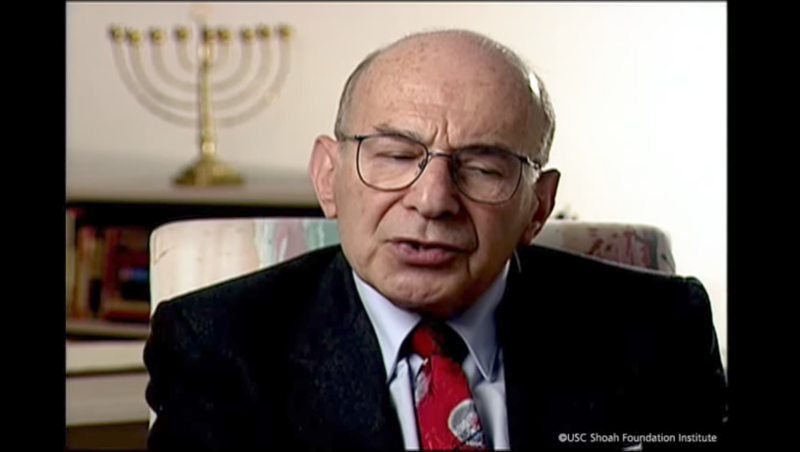 This unit provides an opportunity for students to learn about the origins of antisemitism. Students will also learn about prewar Jewish life in Germany and antisemitism in Nazi ideology and its similarities and differences from pre-Nazi antisemitism. Students will also examine propaganda methods that were used to exploit antisemitic attitudes among the German people and to create an atmosphere of terror. Define antisemitism and trace its origins. Explain how pre-Nazi antisemitism and Nazi racial ideology are similar and different. 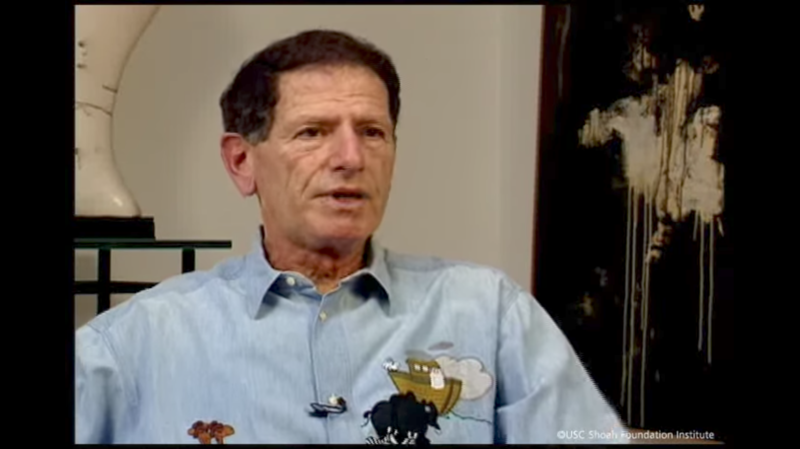 Discuss both the content and the messages in clips of visual history testimony. Give examples of propaganda methods that the Nazis used to exploit antisemitic attitudes among the German people and to isolate Jews from the rest of the population. Identify historical and contemporary examples of antisemitism, propaganda, and stereotyping. 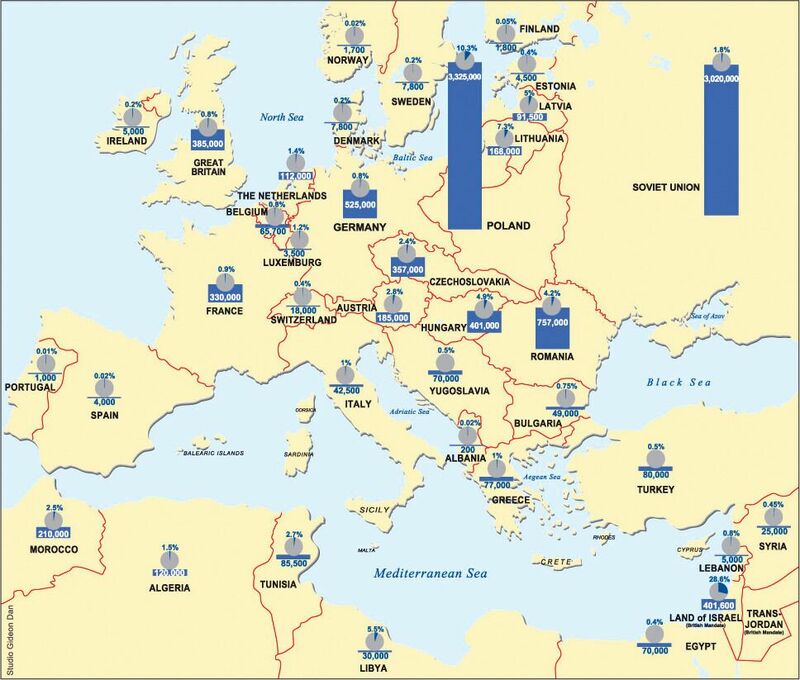 1 Begin this lesson by showing students the map Jewish Communities in Europe before the Nazis Rise to Power. Provide time for students to share their observations and to consider the importance of demographic data when studying historical events; how can such data help us address questions or be integrated into a coherent understanding of an event? 2 Direct students’ attention to Germany and note the Jewish population as well as the percentage of the total population that Jews represented. Ask students if they have any knowledge regarding Jewish life in Germany prior to the Holocaust and if so, what they have learned. Follow by asking students to consider what life might have been like for Jews in Germany prior to Hitler’s rise to power. 3 Tell students that they will now hear from individuals who experienced life in Germany prior to the rise of the Nazi Party. Introduce students to [L]John Graham[/L], [L]H. Henry Sinason[/L], and [L]Margaret Lambert[/L], and show the three clips of testimony. In his testimony, how does John Graham describe his feelings toward Germany before the war? 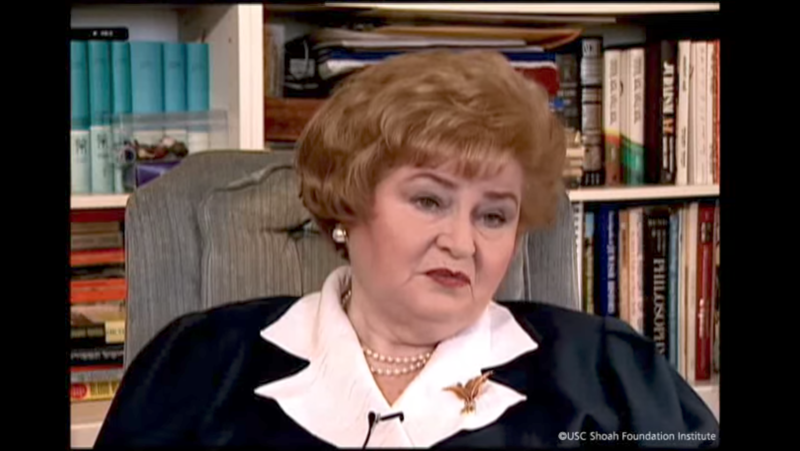 After listening to Margaret Lambert’s testimony, how does she describe the relationship between Jews and non-Jews before the war? 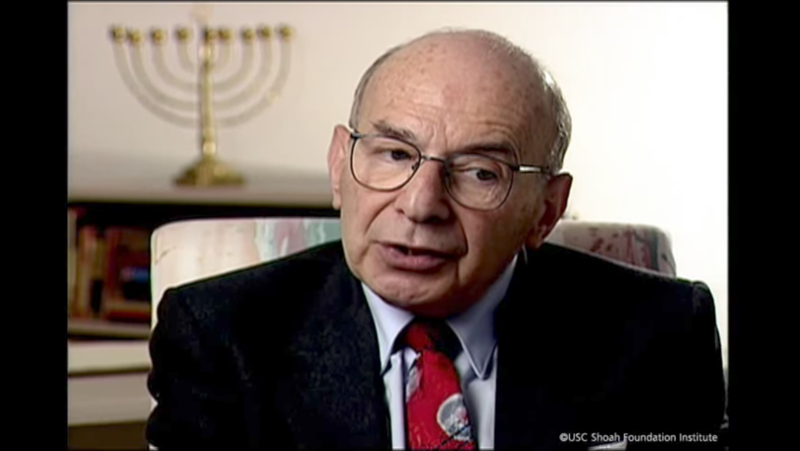 Henry Sinason mentions that his father considered himself German first and Jewish second. What does this lead you to believe about how many Jews might have identified with their country during this time period? 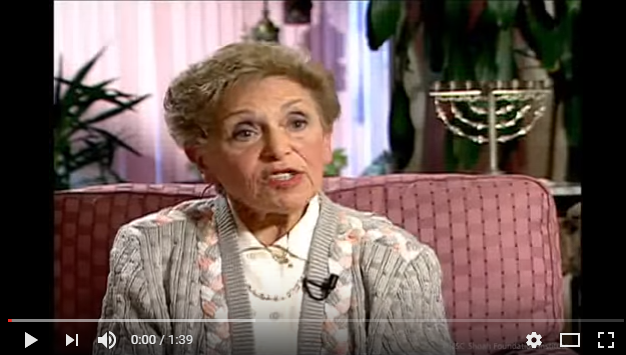 5 Before showing the next clips of testimony, ask students if they are familiar with the terms “stereotype” and “antisemitism” and to share their understanding of what the terms mean. Continue by asking them if based on what they know or have heard about the Holocaust, whether the attitudes and actions against Jews and the laws legislated against them in Nazi Germany were a new phenomenon or part of a continuum of antisemitism throughout history. 6 Tell students that they will now be introduced to [L]H. Henry Sinason[/L], [L]Henry Laurant[/L], and [L]Judith Becker[/L] and watch their testimonies. Follow with a discussion using the questions below. Describe how H. Henry Sinason says that his friends have changed. Who does he believe is responsible for their change in attitude and behavior? Henry Laurant makes it a point to discuss his father’s occupation and position in the community. What did the vandalism signal for Henry’s father? How does Henry’s testimony add to your understanding of what was happening in Germany during this time period? 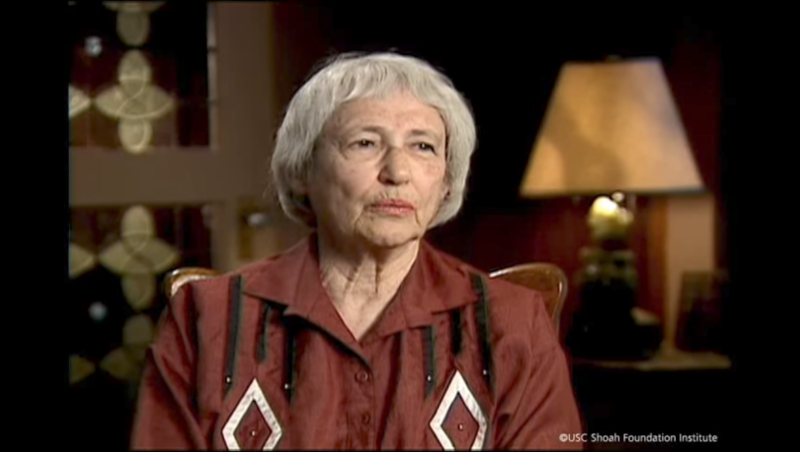 In her testimony, Judith Becker speaks about a course on racism that was taught in schools. What was the irony that Judith describes? Why do you think the Nazis wanted to target young people with their racial ideology? From listening to these testimonies, what do you learn about how the atmosphere in Germany was changing? 7 Review important information about stereotypes with students: A stereotype is an oversimplified generalization about a person or group of people without regard for individual differences. Even seemingly positive stereotypes that link a person or group to a specific positive trait (e.g., Asian Americans are good in math) can have negative consequences because they ignore an individual’s interests and abilities. While all stereotypes are hurtful because they group people into one category, some stereotypes are particularly dangerous because they express very negative things about a group of people (e.g., violent, greedy). Such stereotypes perpetuate hateful attitudes and hurt individuals and entire communities. There is also the danger that targets of such stereotypes may begin to believe they are true. 8 Elicit from students examples of how a group to which they belong is stereotyped. Have students discuss why they think people believe and perpetuate stereotypes and why stereotypes are dangerous. 9 Display or distribute the Definition of Antisemitism; read and discuss together. 10 Prepare students for reading the Summary of Antisemitism handout by reviewing key terms and phrases as necessary. Distribute the text and have students study it as a whole group, in small groups, or individually. Instruct students to identify and underline or highlight examples of stereotypes or accusations made against Jews in the selection. 11 After reading the handout, conduct a class discussion based on some or all of the questions below. In what way did Nazi ideology create a new form of antisemitism? What does the term “scapegoat” mean? What are some situations when people may be likely to scapegoat a group of people? Why do you think many people didn’t question or protest what they were being told about Jews? How is antisemitism similar to or different from scapegoating? 12 Ask students to consider whether antisemitism was only a problem of the past or if it remains an area of concern today. Have them support their thinking and, if possible, give contemporary examples of antisemitism at the local, national, or international level. Share with students that the Anti-Defamation League (adl.org) identifies both criminal and non-criminal acts of harassment and intimidation, including distribution of hate propaganda, threats, and slurs and compiles the information into annual reports. Updates and information about antisemitism—both nationally and internationally—are also posted regularly on the website. 13 Provide students with the Not in Our Town handout and review together. Follow with a discussion using some or all of the questions below. Why do you think some people choose to join hate groups? How do you think people are recruited to join hate groups? How, if at all, is the ideology of hate groups today similar to Nazi racial ideology? What is meant by the term “ally”? What specifically did the people of Billings, Montana do to show that they were allies to those who had become targets of antisemitism and other forms of bigotry? What risks did the people of Billings take when they decided to take action against what was happening in their community? What are some of the possible risks that a person takes when he or she decides to become an ally? What specifically did you learn about antisemitism that you didn’t know before studying the topic in class? Which of the testimonies that you watched today do you think you will remember and why? Why do you think the story of what happened in Billings, Montana still resonates for people more than twenty years later? 1 Begin this lesson by having students brainstorm the meaning of the word “ideology” and share what they think constitutes an ideology (e.g., a pattern of beliefs; a way of thinking; a system of ideas that organizes one’s goals, expectations, and actions). How did the Nazi ideology depict Jews? Compare and contrast this text to Summary of Antisemitism. 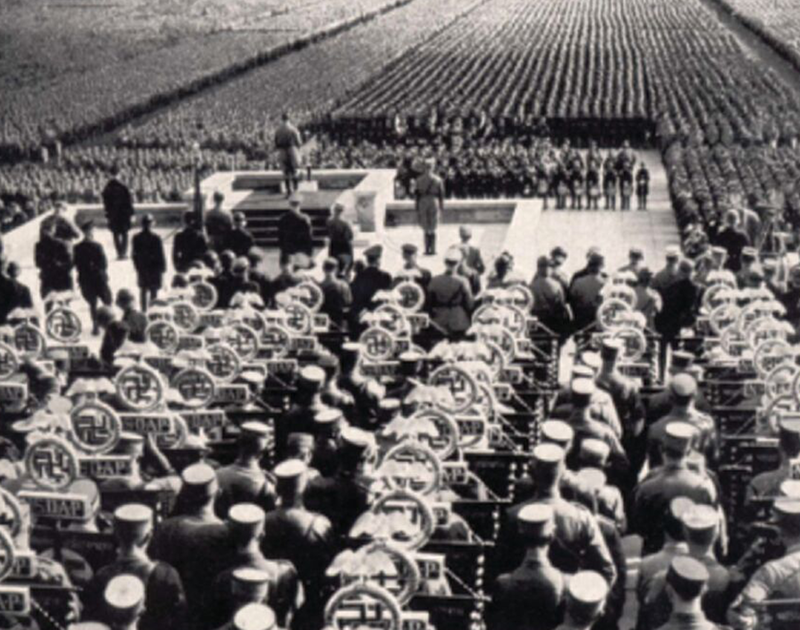 What new ideas appear in Hitler’s writings? What ideas reflect continuity with previous antisemitic thinking? How do you think these ideas might have influenced people in Germany who were exposed to them? 3 Ask students to think about the term “propaganda” and share what they understand it to mean. [Optional: Have a volunteer read the definition of propaganda found in the Glossary.] Continue by having students post what they see as the distinction between “propaganda” and “ideology” (i.e., ideology is a system of ideas and principles on which a political or economic theory is based; propaganda is a tool or method used to disseminate such a system of ideas). 4 Introduce students to [L]H. Henry Sinason[/L] and [L]Esther Clifford[/L] and have students watch the two clips of testimonies. Follow with a discussion, using the questions below. Henry Sinason discusses how many of his former friends became part of the Hitler Youth movement. Why do you think the children were receptive to joining such a movement? What changes does Henry describe? What is the process he describes? What do you think influenced this process of change? What were some of the visual images that Esther Clifford talks about seeing on her way to school? What effect did seeing such things have on her? 6 Have students suggest examples of propaganda that they have seen and explain which of the techniques listed above was/were used. They might want to consider advertisements, political campaigns, social movements, and so forth in their examples. What are the possible effects of propaganda? Can one become critical toward propaganda? Why or why not? 8 Display and review together as a whole group some of the examples of Nazi propaganda. Have students consider some or all of the questions below, depending on which document they are analyzing. What statement is this photograph or caricature making? How is the example exploiting the already existing antisemitic attitudes in Germany? How is the example attempting to further isolate Jews from the rest of the population? Which of the propaganda methods (listed on the board or on chart paper) apply to this photograph or caricature? 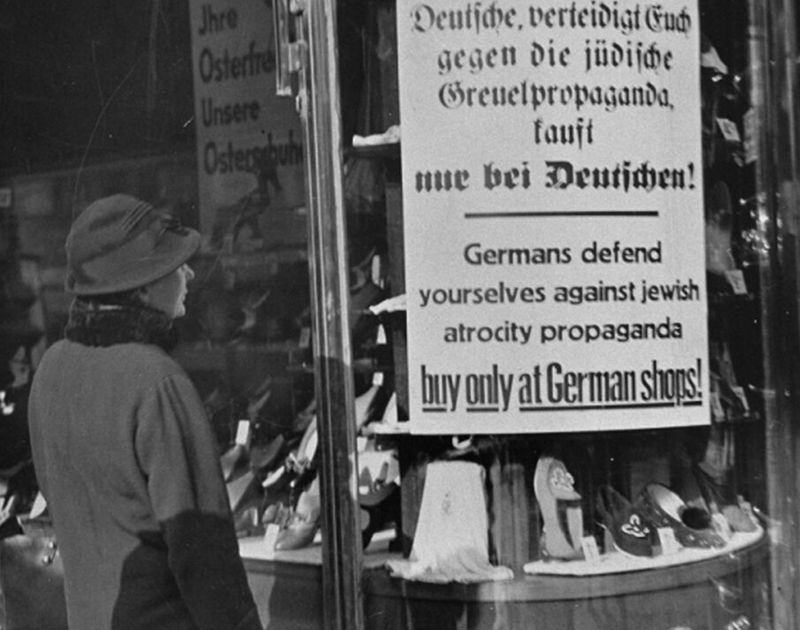 What is the irony of the photograph of the German woman reading the sign saying to beware of Jewish propaganda? 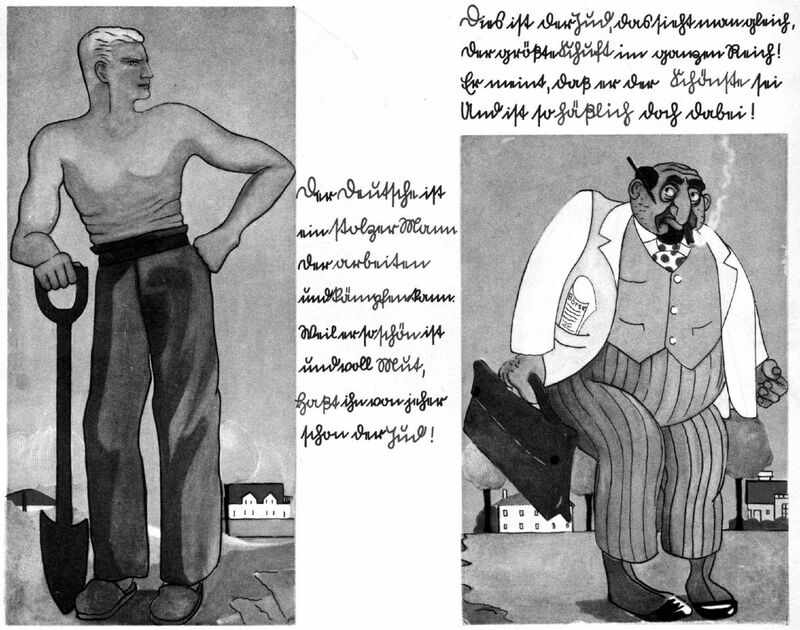 In what ways do the caricatures and photographs depict the ideas expressed in Nazi ideology? Why did the Nazis use a variety of methods to spread their ideology? How would you characterize Nazi propaganda? Do you think that some people recognized that what they were seeing and hearing was propaganda? If they did, why do you think they still believed it? How can a person be tempted to believe in propaganda? What are some examples of ways that the Nazis dehumanized Jews in their propaganda? How did the dehumanization of Jews make them an easy target for abuse? What other groups of people have been dehumanized in history? What was the purpose or goal behind such dehumanization? What methods were used? What has been the result? 10 Close the lesson by having students discuss specific examples of national and international events that demonstrate that antisemitism and propaganda are still part of contemporary society. Some people thought that after the Holocaust, antisemitism would disappear, which it did not. How can you explain that? Why do you think it did not disappear? What have you learned of the history of antisemitism that might explain why the Holocaust did not end antisemitism? Do you recognize propaganda in your life and society? Do you feel that you are influenced by it? If so, how? If not, how do you protect yourself from its influence? Think about the dangers in stereotyping. Why are stereotypes so easy to believe and perpetuate? How can you combat stereotypes in your daily life? What would be the value of doing so? Many of the testimonies in this lesson related stories of hurtful, neglectful, and/or abusive behavior toward children who could not defend themselves. Who in a society is responsible for the care of children? What should those entrusted with this responsibility do to ensure that all children are emotionally and physically safe? 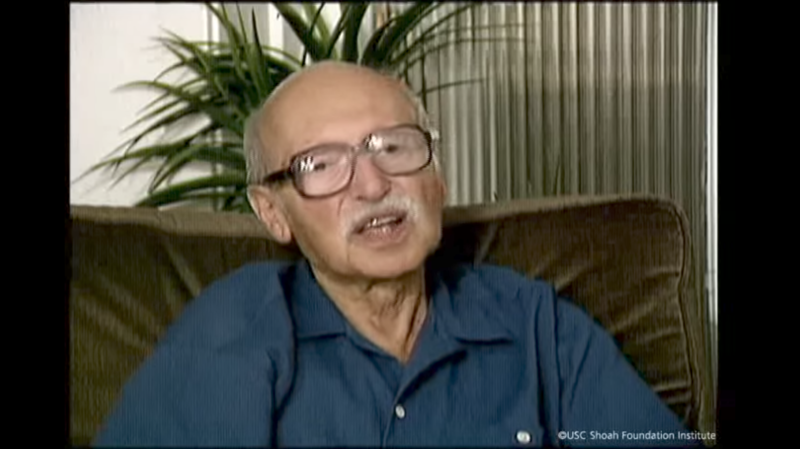 1 Visit IWitness (iwitness.usc.edu) for testimonies, resources, and activities to help students learn more about prewar Jewish life, propaganda, and antisemitism. What organized groups use antisemitism to advance their goals? How have these groups made use of Nazi ideology? What other groups of people do hate groups target? What recent events have served to increase the intensity and broaden the scope of modern antisemitism? What activities of these hate groups are banned by law? What activities are legal? Who joins hate groups? How are young people lured into joining hate groups? What role does the Internet play in spreading the message of hate groups? The class might be divided into small groups, each one responsible for a particular aspect of the whole topic: e.g., origins of antisemitism in the United States, hate groups, the escalation of antisemitism. Research may be presented in written, oral, or in visual form (e.g., video). Encourage students to use the Anti-Defamation League’s website (adl.org) and the Southern Poverty Law Center’s website (splcenter.org) in their research. 3 Divide the class in half. Provide time for groups to prepare an argument for debate. Have one group argue that the United States government should prohibit the activities of groups and individuals that promote hatred, as in Germany where the dissemination of racist and antisemitic material is illegal. Have the other group argue that the First Amendment must be upheld. 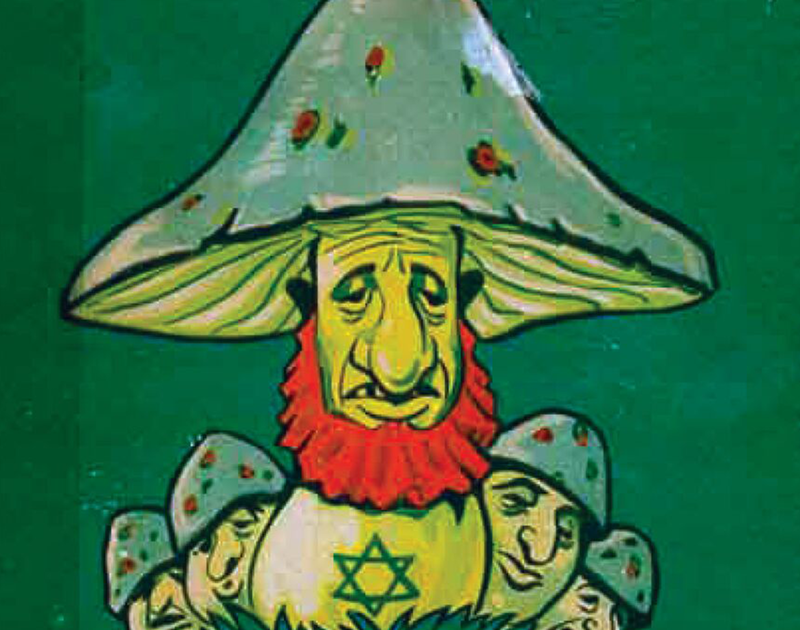 4 The antisemitic children’s book The Poisonous Mushroom (Der Giftpilz in German) was written by Ernst Hiemer and published by Julius Streicher who also published the antisemitic newspaper Der Stürmer. Instruct students to gather relevant information from multiple print and digital sources about how children’s books like The Poisonous Mushroom were used to promote Nazi ideology and prepare a PowerPoint or cloud-based presentation (e.g., Prezi), a written report, or decide on another format to present their work. Their presentations should include examples of children’s books published during the time period, information about how people responded to the books if possible, as well as their interpretations of the books and what they learned about propaganda from studying them. 5 Have students answer the following question in an explanatory text or in a multimedia presentation: At what point does political discourse become propaganda? To begin, students should identify specific examples of politicians attempting to sway voters to vote for them or to agree with them on a particular issue. This can be accomplished by listening to or reading speeches or transcripts from community forums made by national, state, or local politicians. This investigation should be followed by an argument for why the techniques do or do not fit the definition of propaganda. Which techniques, if any, are the same as those of propaganda? If they are different, how are they different? What safeguards, if any, are in place to prevent political discourse from becoming propaganda? The text or presentation should end with a concluding statement that answers the research question based on the evidence compiled. 6 Using online resources have students research and prepare a graphic that shows the Jewish experience in the United States at roughly the same time as the Nazis were coming to power in Germany. The graphic might include information on various regions of the country where Jews lived or the countries from which they emigrated. Include data about the attitude toward Jews based on polling data compiled at the time. Encourage students to consider the implications of their findings on whether the United States would intervene in the events that were to unfold in Europe.